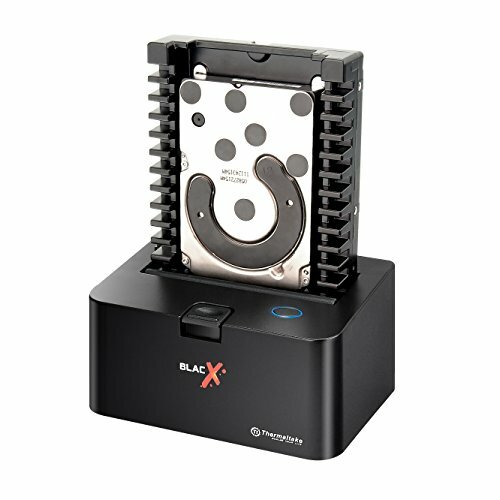 The Thermaltake BlacX docking station Connects to 2.5” or 3.5” SATA I/II/III hard drives for easy to use access and exchange of your favorite media. This compact and safe design, protects SATA HDD/SSD drives from accidental damage while offering a straight forward plug and play solution without any need for software. With capabilities of transferring through USB 3.0, enjoy up to 5.0 Gbps for fast and easy transfers to and from your system. Compatible with both Windows and Mac OS, gain the advantage of easy file transfer with the Thermaltake BlacX docking station.